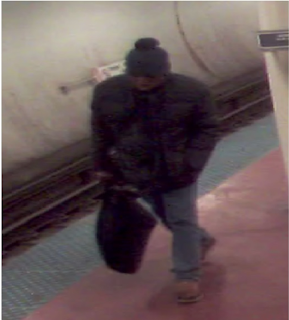 Police have released CTA surveillance images of a man who posed as an undercover cop to beat and rob a 70-year-old man at a Loop train station early this morning. Shortly before 3 a.m., the victim was on the Blue Line platform at Monroe when the offender walked up and claimed to be a police officer, authorities said. When the victim pulled out his wallet to show ID, the suspect grabbed it, punched the man in the face, and fled. Police said the offender is a black man between 50- and 55-years-old who stands 6-feet to 6’2” tall and weighs 180 to 220 pounds. He was last seen wearing a grey knit cap, black puffy coat, blue jeans and tan boots. Anyone with information about the suspect is asked to call Area Central detectives at (312) 747-8384. Get CWB’s Judges Scorecard to help guide your votes this year. Subscribe now and you're on the list.